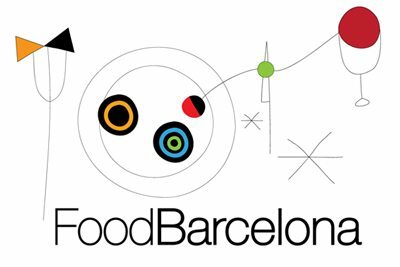 In May I was invited to join the Devour Barcelona team on their four-hour food tour. Devour began in Madrid and has since expanded to other cities in Spain and Catalonia. Their Barcelona tour sensibly eschews the tourist-dense city center and instead takes visitors around Gràcia, a former village that retains its character despite having been swallowed by Barcelona many decades ago. It’s one of my favourite parts of town. I won’t go into too many details because I don’t want to spoil the tour (although a full itinerary can be found on the Devour website). Suffice to say that the regular guide in Barcelona, Renée, knows her stuff. She’s a charming American who, like me, moved to Barcelona years ago and fell in love with it. As a result, she provides an engaging running commentary, full of insight and interesting details. Instead of just plodding around typical tourist-trap chain reataurants for tapas, you get a look at how real people eat and shop for food here: visiting markets, drinking vermouth in old-fashioned bars full of old people playing cards, snacking on classic Barcelona dishes and enjoying ethnic cuisine that’s become part of the city’s food culture. There are olive oil tastings, pastry shops, and a chance to try real pa amb tomàquet. Everywhere Renée has chosen for the tour is independently owned. You’ll also learn about some of the culture and proud history of Gràcia, Barcelona and Catalonia. At €65 for four hours it’s excellent value. Wear comfortable shoes, because you’ll be walking quite a lot, and don’t have breakfast beforehand! Hi Steve! So glad you enjoyed the tour 🙂 Thanks for the compliments. It was nice to have your insight as well, being such a big Barcelona foodie yourself! Hope to run into you again soon!